As much as I love larger-than-life statement jewels, I'm definitely having a delicate-ring moment — especially of the knuckle persuasion. So when I had a little extra chain left over from a recent jewelry-making sesh, I thought I would whip up a couple extra rings as well. This one's beyond easy, so if you find yourself with some scrap chain, definitely give it a try! 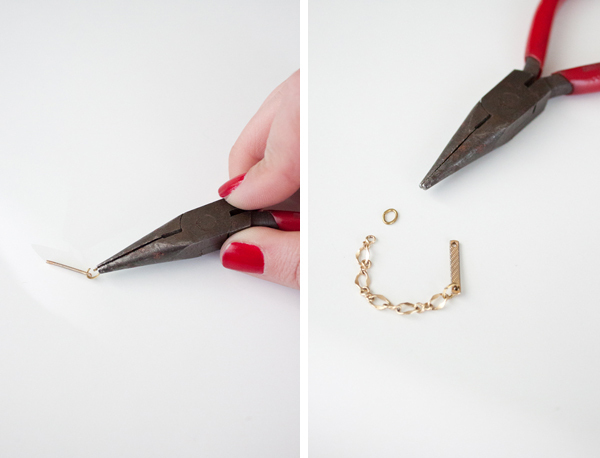 Measure the scrap chain around the width of your finger, then cut it one link shorter using your pliers. Add a jump ring to join both sides together for a simple, yet totally cute ring. For a slightly more embellished knuckle ring, measure the width of your finger just above your knuckle, then subtract the length of your embellishment. Cut the chain a couple links shorter than that to account for your jump rings, then join all the pieces together using your pliers. It's as easy as that! Thanks for reading, love bugs! Love your DIYs - they're always so original! 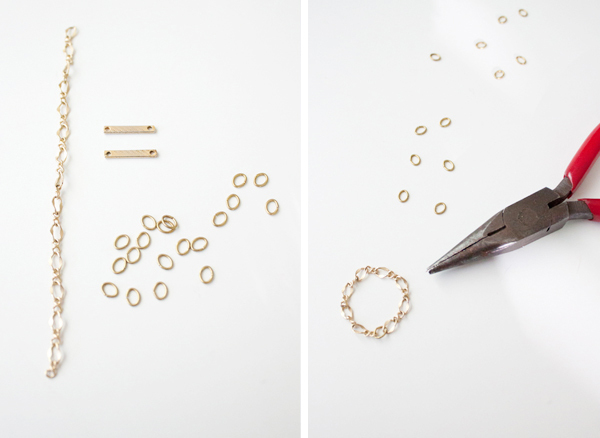 Such a lovely DIY, I've always wanted to have a go at making my own jewellery!